Located to the North of the township of Caloundra, Dicky Beach is a popular beach with locals and tourist alike. It is one of the only recreational beaches in the world to be named after a ship wreck; (S.S. Dicky), alongside that of Duranbah Beach. 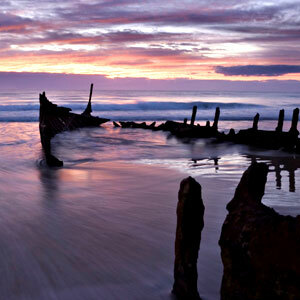 The remains of the wreck can still be explored on Dicky beach today, and with being one of the more popular of the area's beaches, it is patrolled every day, offering swimming, fishing and surfing, as well as children's play facilities, a skate park and picnic-barbecue facilities. Named after the SS Dicky which ran aground there in 1893.